Desiree Linden became the first American woman to win the Boston Marathon on the coldest Marathon Monday in recent memory. 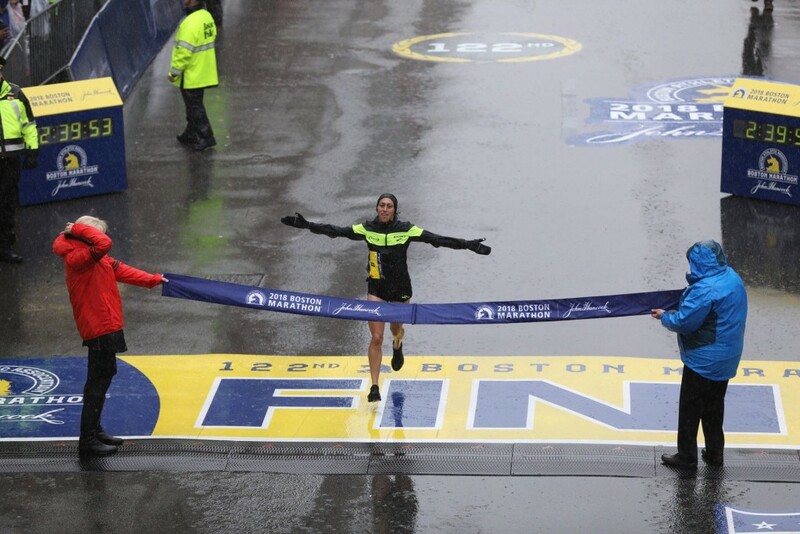 On a day when nothing seemed to be going right weather-wise, everything turned out all right for Desiree Linden of the U.S. in the Boston Marathon. Linden became the first American woman to win the historic race since Lisa Larsen Rainsberger in 1985. 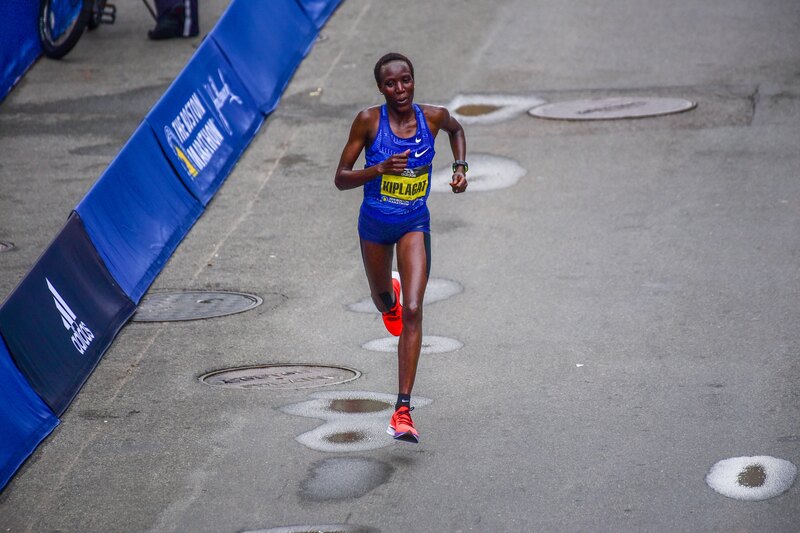 She did it on a day of freezing wind and cold that had runners scrambling for extra layers—and on a day when she had to outrace first Mamitu Daska of Ethiopia, who looked dominant early on; and then Gladys Chesir of Kenya, all while battling Boston’s formidable natural obstacle of Heartbreak Hill. The improbable conditions resulted in some equally improbable storylines. The women’s second- and third-place finishers—Sarah Sellers of the U.S. and Krista Duchene of Canada, respectively—could not believe how they passed some of the world’s greatest runners en route to the podium. (Sellers finished in 2:44:05, Duchene in 2:44:20.) 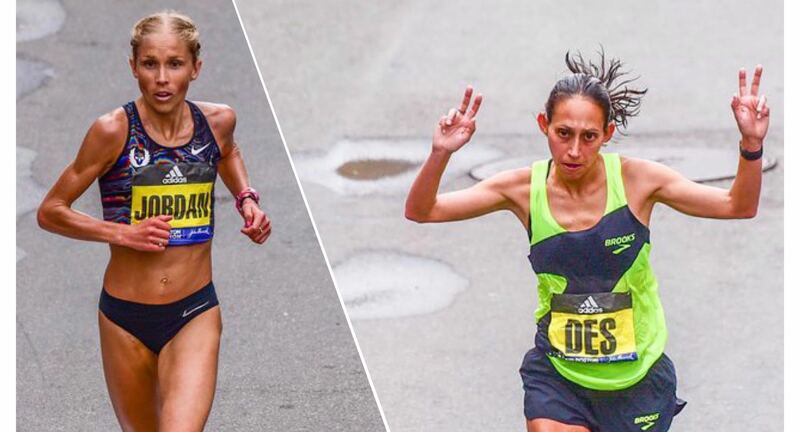 Sellers’ second-place spot on the podium also marks the first time American women finished back-to-back in first and second place at the Boston Marathon since 1979. Meanwhile, in the men’s race, out-of-the-blue winner Yuki Kawauchi of Japan stunned defending champion Geoffrey Kirui in 2:15:58, with Shadrack Biwott of the U.S. completing the podium finishers. Several familiar faces also fared well—Tatyana McFadden of the U.S., after finishing fourth last year, returned to the top spot this year in the women’s wheelchair race in 2:04:39, her fifth Boston victory. And Marcel Hug of Switzerland captured his fourth straight Boston men’s wheelchair victory, this time in 1:46:26. The day also marked more somber moments. It was the fifth anniversary of the 2013 bombings that left three dead and several hundred injured. And it was the centennial of the military relay that replaced the marathon during World War I in 1918. On such a momentous day, Linden took center stage, although it did not happen immediately. “Early on, I felt horrible,” she said. Flanagan ended up taking a bathroom break during the race. Linden told her that if it was possible, she would tuck in and help Flanagan get back to the group afterward. But the pace did not slacken after Daska made a move, and Linden ended up trying to help another American elite—Molly Huddle—catch up to her. Things didn’t completely turn around as Daska led by 30 seconds at the 30K mark. But the weather seemed to impact her at that point, as she removed her gloves and tugged at her sleeves. At 19 miles, her lead was down to 17 seconds with Heartbreak Hill ahead. The longtime test for runners made its impact, with Daska’s lead down to six seconds as Boston College students braved the inclement weather to cheer along the course. They soon had new course leaders to cheer—first Chesir and then Linden. When Linden took the lead at the 35K mark, it was the first time all day that an American woman had been in front. However, Linden—with bad memories from 2011—was unaware of this. It didn’t sink in until the end. Her fellow podium finishers learned to expect the unexpected as well.